New Zealand head coach Steve Hansen has made a solitary change in the starting line-up for the upcoming clash against Ireland to be played at Twickenham Stadium on Saturday. 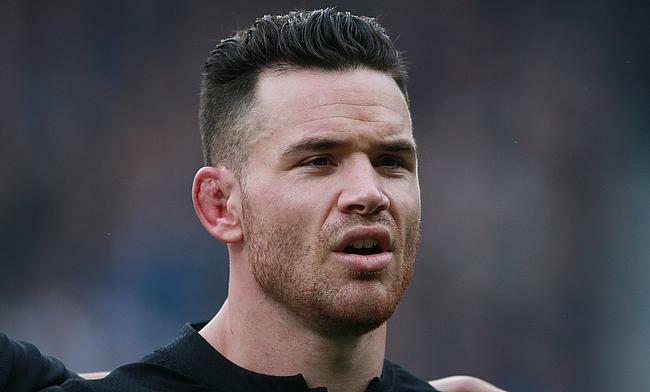 Crusaders centre Ryan Crotty gains a promotion after being on the bench for last weekend's game against England at Twickenham Stadium. The 30-year-old will replace Sonny Bill Williams after the latter sustained an AC joint injury in the 31st minute last Saturday where the All Blacks edged out Eddie Jones' men 15-16. The game will also see the top two ranked sides locking horns with each other and Hansen had already stated the winner will have the right to call themselves "the best team in the world". “This will be another great challenge for our squad and one that we’re all really looking forward to,” said Hansen. “These are the types of Test matches that gets everyone up — it’s number one versus number two — and there’s a real excitement that’s building as we get closer to Saturday. “The earlier part of our week has been about getting our processes and clarity right, focussing on our core roles and the execution of our skills and then going out and training well. “On Saturday we’ll be playing an opponent who will want to keep the ball for long periods of time, and if they aren’t getting what they want, then they’ll kick and try to pressure us. Meanwhile, the game on Saturday will see Aaron Smith in his 82nd Test appearance become the most capped All Blacks scrum-half in history.